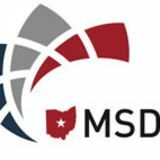 2019 OMSDC Si Ohio MSDC offers creative, high visibility sponsorship opportunities for special programs, outreach and events. As a sponsor, organizations will receive valuable benefits and recognition tailored to meet corporate objectives while supporting OMSDCâ&#x20AC;&#x2122;s mission. For answers to questions or concerns regarding sponsorship and registration please contact our office. The 2019 Business Opportunity Expo is focused on the economic empowerment of minority business enterprises. Corporate buyers, government agencies, minority business enterprises, and key stakeholders converge for this education, networking, and business development event, which features the Safari Golf Classic at the Columbus Zoo & Aquarium’s Safari Golf Course. Submission Guidelines Please submit print-ready artwork by May 31, 2019 300 dpi .jpg or .pdf, high resolution logos or outlined .eps files. Extend bleed 1/8’ beyond trim on all sides Keep live matter 1/4’ inside trim dimensions on all sides. Ads can be emailed to marketing@ohiomsdc.org. If ad is too large to send via e-mail, contact Aaron Powell at apowell@ ohiomsdc.org. Sponsoring Multiple Events? A 2019 Sponsorship Bundle Could Meet Your Needs! 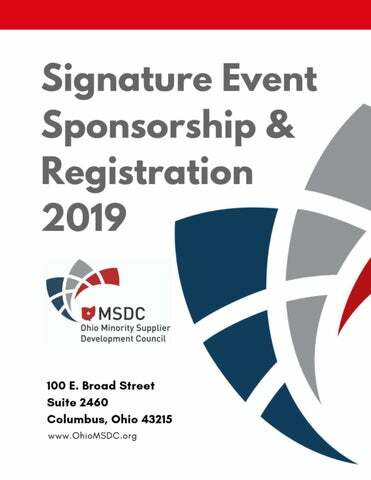 Becoming an Annual Sponsor through OMSDCâ&#x20AC;&#x2122;s 2019 Sponsorship Bundles packages immediately enhances the recognition your company receives, strengthens your visible presence through multiple avenues and provides a unique way to support the Council. The Annual Awards Gala & After Glow is the Council’s signature event that recognizes and celebrates the achievements of the Ohio’s most notable MBEs and Corporate Members. The Gala exhibits the growth and success of minority business enterprises and the supplier diversity participation of corporate members in the region.